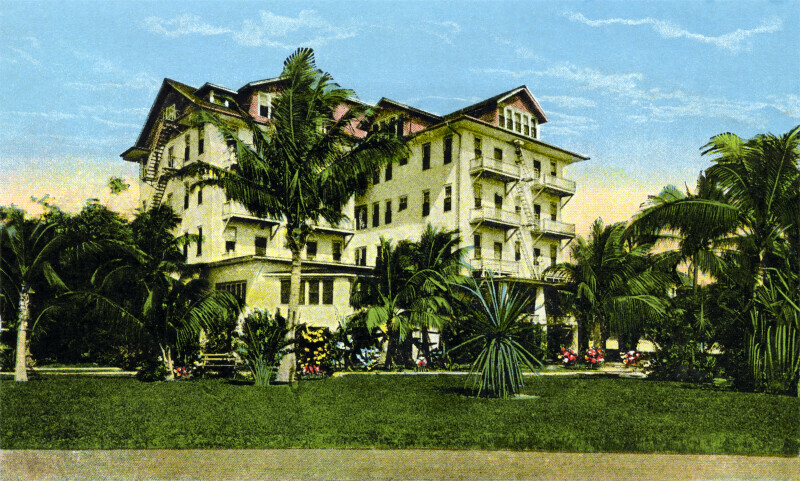 This four-and-a-half story building is the Salt Air Hotel. The hotel has fire escapes on each of the visible walls. The roof has a number of gabled dormers, and at least one shed dormer. There are palm trees and flowering plants growing on the grounds of the hotel.